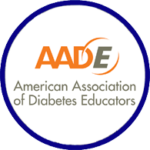 AADE is a multi-disciplinary professional membership organization dedicated to improving diabetes care through innovative education, management, and support. With more than 14,000 professional members including nurses, dietitians, pharmacists, exercise specialists, and others, AADE has a vast network of practitioners working with people who have, are affected by, or are at risk for diabetes. With the mission to empower diabetes educators to expand the horizons of innovative education, management, and support, AADE seeks to achieve its vision for the optimal health and quality of life for persons with, affected by, or at risk for diabetes and chronic conditions.